96 Schermerhorn Street was built in 1929 and had formerly housed the St. John's University School of Law before it relocated to Queens. For a time it was also leased to Brooklyn College. Joseph M. Mattone, a Queens-based real estate developer, led the group that included PIMAT Inc., and S.J. 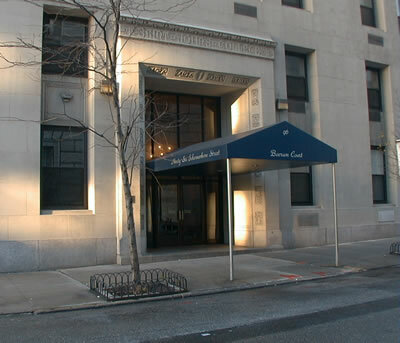 Rehab Corp. (a subsidiary of Gotham Construction) in sponsoring the renovation and the conversion of the building to a residential cooperative of 105 units under the name Boerum Court Owners, Inc. The building was marketed under the name "Tower in the Heights" during the time it was controlled by the sponsor.